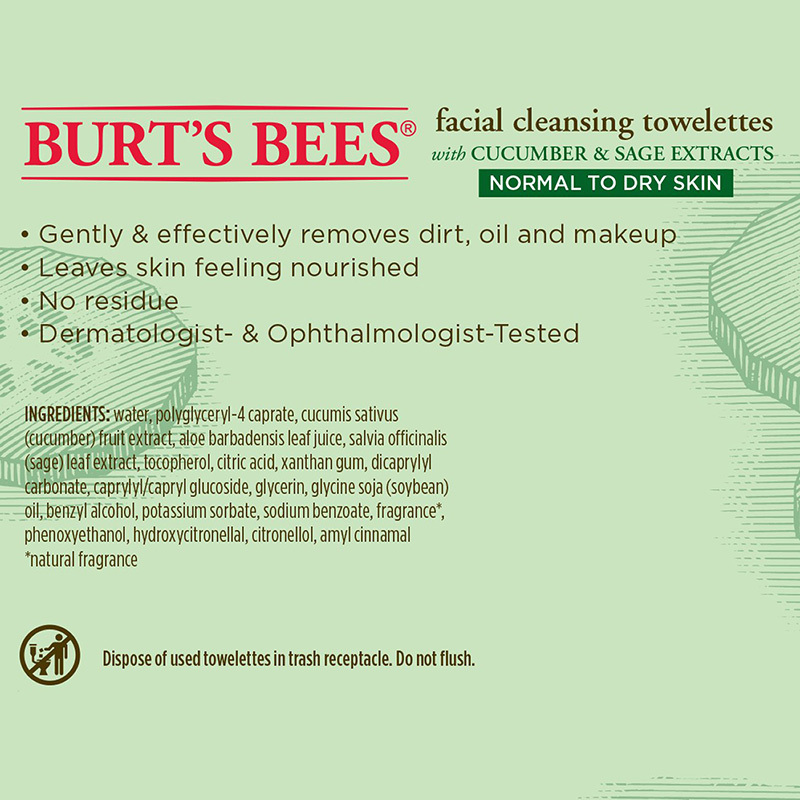 Facial Cleansing Towelettes - Cucumber & Sage is rated 2.8 out of 5 by 78. 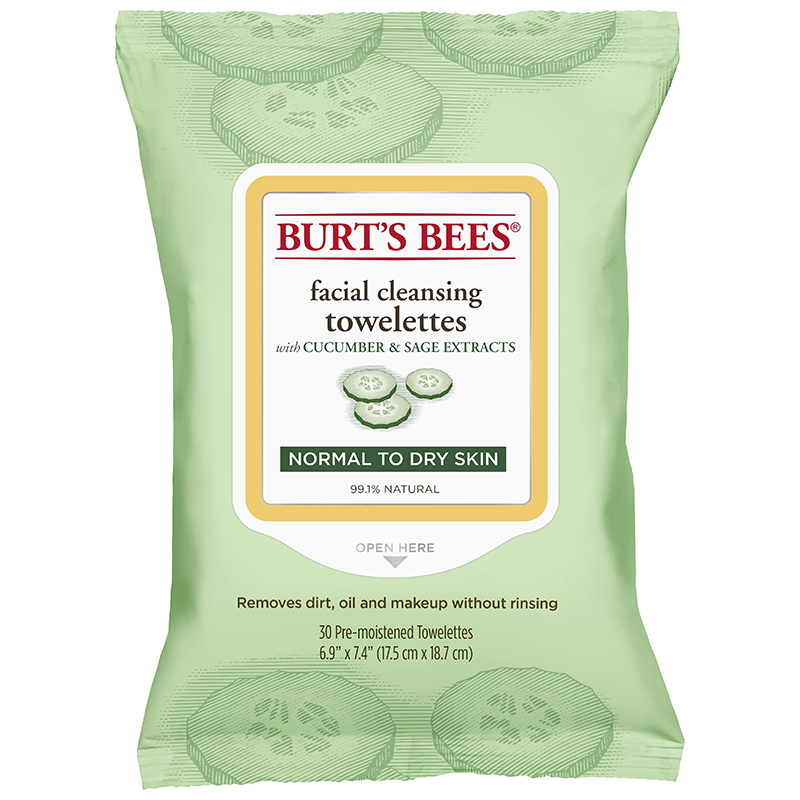 Cleansing that's powerful enough to remove dirt, oil and makeup, and natural soothing that's simple enough to achieve without rinsing or scrubbing—all wrapped in one Cucumber and Sage-infused towelette. Known for its soothing properties, Cucumber Extract helps soften skin without leaving any sticky residue. Ingredients: aqua (water, eau), aloe barbadensis leaf juice, polyglyceryl-4 caprate, cucumis sativus (cucumber) fruit extract, salvia offcinalis (sage) leaf extract, tocopherol, citric acid, xanthan gum, dicaprylyl carbonate, caprylyl/capryl glucoside, glycerin, glycine soja (soybean) oil, benzyl alcohol, potassium sorbate, sodium benzoate, parfum (natural fragrance), phenoxyethanol, hydroxycitronellal, citronellol, amyl cinnamal.